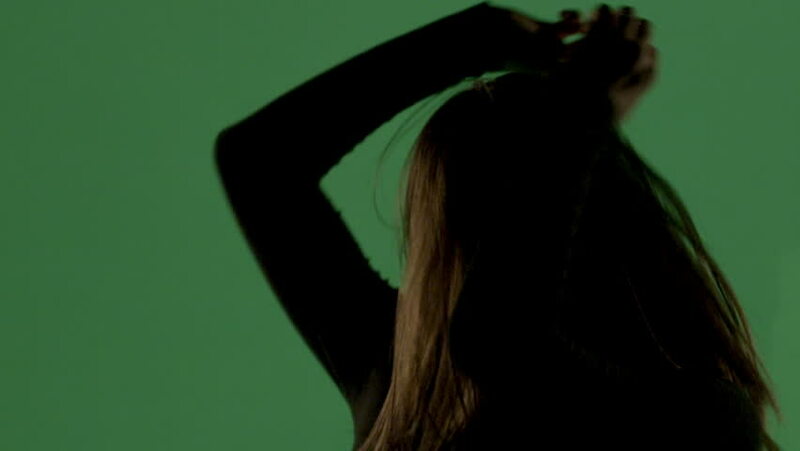 Tight shot of a near silhouetted woman on green screen dancing. hd00:13Two hands make a bird shadow show against green screen chroma background. Back-lit silhouette. hd00:09Young adult woman queens or crowns herself against green screen chroma background. Back-lit silhouette.